The success of your business doesn’t hinge solely on your marketing materials, but they are probably going to make or break your influence and ability to woo specific clients. 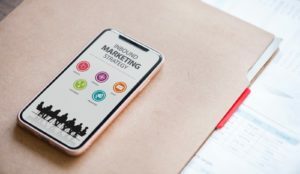 The marketing materials and the strategy you use will all be ingrained deeply in your day to day running of your business. Attracting new customers and even encouraging old ones to repurchase or buy new services will many times come down to your marketing and marketing materials. So, let’s take a look at the 7 essential bits you are going to need. Where once upon a time these would have set you back a fair wack, you can pull beautiful glossy images from Pexels, Pixabay, and Unsplash that are free. You can do whatever you want with them, and the quality is phenomenal. Promo images are imperative for creating a sleek look for your materials and social media posts. You can opt to have something bespoke and work alongside a photographer to get something personalized and perfect. The choice is yours. When either choosing or creating your images pay close attention to the small details, check on where shadows land, and the general color palette. Your logo will be what people begin to recognize and associate with your business. It will go on everything from your business cards and pamphlets to your twitter and maybe even a car decal. Be careful when you are designing the logo. We have a habit of rejigging what our brain has already seen a few times. Think about the colors, how it will size up and down and make sure the font is clear and easy to read. Neat and simple with a twist of design will get your recognized everywhere. If you go to trade shows, networking events or produce a wide range of products, you are probably going to want to make your advertisements pop. They are designed to have a lot of details about each product, and easy to flip through. You have a lot of space to use to make sure that when you are putting it together, you use the space wisely. If you need to produce brochures for investors and potential partnerships, then you can include graphs, charts, references, recourses, reports, photos, and more. Ensure that you use a clear and easy to read font in a reasonable size. It should be as professional as possible even if you are making it yourself using a spiral binding machine and a home printer. Are you even a business if you don’t have a website? It will become your most used business tool soon. This is where the culmination of your marketing materials meet and hug. Clients, investors, friends, family, buyers, and so on will all check your website out. They should be sleek, fast to load have all the essential information within a click or two from the main page. You will want to test this on mobile, tablets of different sizes and various screen sizes. Contact forms are great, but giving people the options to quickly input an email address and get some instant satisfaction like a discount or an email download will help you build a health and warm leads list. You will be driving traffic to your site from your social sites like facebook, twitter, LinkedIn and so on. Keep it clean, keep it clear. When the world ends, there will be cockroaches and business cards. Often underestimated as just a throwaway item, they are incredibly useful, and there is a reason they have been around since the start of business. They often give people an impression of you and your business in about 5 seconds. The font, the feel, the finish are all critical. Think back to that scene in American Psycho - the cards matter. Think about them as the most perfect tool. They’re light, cost-effective, and hold the ideal about of digestible information. There are a couple of things that you're probably going to want to have on your business cards. Your logo being something that should be taking up a good amount of space. Then your name in a clear, bold font, email address and mobile or office number are also important. If you have an office, have that address on there too. should be featured here somewhere also. If you feel like your card is cluttered it probably is. Either work with a designer or some design software to get a better balance. If you aren’t great at social media, then hire someone. There is no way that you should be out there in the world of business without some sort of platforms like Facebook, Twitter or LinkedIn. People will enjoy having a space that they can communicate with you in a less formal way. Make sure that all of your platforms have a cohesive message and all of your cover photos and display photos have your marketing materials clearly visible. Use Canva or Picmonkey to help you get the dimensions right. You should also look into taking some short (and free) courses in creating social media adverts for your website. They aren’t too expensive and can have a really significant impact. Use this as a space to open the conversation up. It’s also a rich resource for market research and working on what you are really offering. Banners, posters, flyers, and pamphlets. It’s not surprising that they might come under an umbrella really. They are incredibly useful but don’t work for everyone in all situations. However, good old fashioned pinning flyers up in local coffee shops and grocery stores still have a place. So think about your target audience if you’re going to do this one. Great to have around, essential in your tool kit.